RemovalsMates provides relocation and removals services in Canonbury, N1. Our movers will help you with everything – packing, loading and transporting of your belongings. 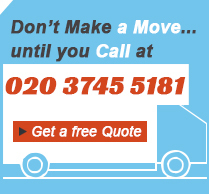 We are introducing you our professional removals services that are currently offered inCanonbury, N1. We have been equipped with the most modern vehicles and tools and we are able to organize the transportation in a fast and excellent way. Our employees are trained in a special way and they will collaborate with you in a friendly and polite manner. We promise to protect all of your valuable possessions and to ensure smooth removal, without any problems. We always give the maximum of our efforts to meet the requirements of our revered customers, so do not hesitate but contact us whenever you need removals services, implemented due to all the standards. You are a tenant who is moving to another housing or you have just sold your house and you need your possessions packed and transported to another place? We got you covered. Our house removals services are easy on the pocket and efficient. You can be sure that our professionals will be careful not to damage your expensive possessions and they will be delivered to the new location before you even know what’s going on. We cover all Greater London areas, including Canonbury, N1 but we also offer transportation from London to another city and vise versa. Canonbury, N1 is the heaven for the small business, and that is one of the reasons why we decided to establish our house removals business exactly here. You can rely on our company to help you with the moving to a new house, it is true we work with small trucks and cars but we are doing it with the greatest quality. Do not hesitate to call us, we are the best in London and you are going to see it with your own eyes once we have finished with your removal. House removals can be seen like something very simple, but the truth is all of our clients agree that it is irreplaceable and extremely adequate and utile service. You can move all your furniture and stuff form one to any other part of London without any problems and without worrying how you are going to fit everything in you small city car. So this is our advice to you – take example form all our clients and call one of our numbers and will come and assist you. If you prefer it, you can come see us in our office building in Canonbury, N1.